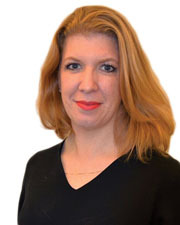 2018 Women in Real Estate and Construction Services: Jessica Moreno, Stantec Consulting Ltd.
Company Name: Stantec Consulting Ltd.
Every project is affected by at least one of these variables: businesses acquisition, team members changes prior to project completion, virtual teams with distant project sites, and constant planning for unknown technological advancements. As a team leader I have to be at the top of my game! I must understand my client’s true project objectives, facilitate “team,” and above all allow for flexibility while having accountability. I spend far more time mitigating risk, establishing “team,” while Skyping, texting, emailing and running to a meeting, of course. I divide my time between my family and PWC. Family life is a series of projects and activities; homework, extra-curriculars, and captivating dinner conversations. Every moment is dynamic, demanding and fulfilling. PWC provides a calendar filled with networking events, committee meetings, mentoring and of course socializing. PWCs range of opportunities has ultimately helped me become a stronger woman within my chosen profession of design project management. I find truth in the statement, “the more you give, the more you receive.” Both are critical to my personal growth and ability to giving back…and what could be better than that?